One distinctive aspect of Grinnell College is its setting. Here, our students have a unique opportunity to experience a strong sense of community, as well as diversity in thought, culture, ethnicity, lifestyle … and location. Our students, most of whom have never lived in a rural setting, benefit from the relative calm of interactions on campus and in town. This experience can make a significant difference in helping them explore issues of purpose with openness and civility. Sending bright, culturally-attuned people who care about the world into local, national, and global communities has never been a more important representation of the value of a Grinnell education, nor has it ever been more critical to our mission and our society. From International students meeting their local host families to students going downtown to the College bookstore, Grinnellians are enriched by community interactions regardless of their background, politics, or ethnicity. Students’ exposure to different ways of living complements classroom experiences, and shortens the ideological distance between people by bringing together diverse perspectives. Dixon Romeo ’16, an African-American economics major who grew up on the south side of Chicago, knows firsthand how Grinnell brings together diverse perspectives to foster global understanding. 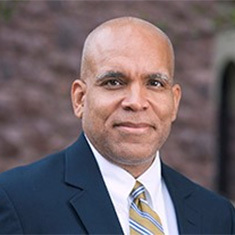 Dixon experienced challenges and opportunities here that helped him be more effective as an individual, as a community member, and in his work as an analyst for a Chicago-based health insurance company. Dixon Romeo '16 speaks to current students. Grinnell was a huge culture shock on many fronts, but I found that a lot of the same socioeconomic issues exist for people in rural areas as in my hometown. People need jobs, people need help with transportation, they need access to quality health care, so the needs of these communities are a lot more similar than they are dissimilar. At the same time, because campus itself is an extremely diverse place, learning how to bridge divides with other students of different backgrounds was really transformational for me. Diversity looks different to different sets of students and at Grinnell, students do not self-segregate to hide from confronting tough issues. If you have a setback, whether it’s personal or academic or social, in this environment you learn through conversation how to make things better. Having the ability to articulate what I believe in while understanding a wide variety of perspectives different from my own is extremely powerful. We discover that confrontation doesn’t have to be hostile, and disagreements can be free of vitriol. Real healing happens when, as a result of those conversations, people donate, vote, or take meaningful solutions back to their communities. Dixon’s story is just one example of how students’ lives can be transformed by learning to bridge divides with others ofdifferent backgrounds. Through your annual support, you can make a transformative Grinnell education possible for many more students. Your unrestricted giving through the Pioneer Fund supports our unique setting by helping the College respond to emerging opportunities and needs. Your support of scholarships and other forms of financial aid helps make sure Grinnell meets the full demonstrated need of every student. Your support for the Center for Careers, Life, and Service promotes engagement of students both locally and globally by helping them develop career plans, identify service opportunities, find internships and job-shadows; and apply for graduate school or post-graduate fellowships. Your support of the Institute for Global Engagement helps ensure that Grinnell students experience various dimensions of life and opportunity at the intersection of rural America and the global community. To some, Grinnell’s setting may seem an unlikely place in which to bring the world together, but that is precisely what we work every day to achieve. As a result, Grinnellians demonstrate the ability to thrive in settings around the world. With your support, we can continue to empower students to make a real difference navigating the world’s complexities and making responsible contributions for the common good. Please make your gift to Grinnell today.